Global temperatures have been flat to down for the last 16 years, but Hansen is undaunted. He is warming recent temperatures at a rate of one degree per century, which is faster than the hockey stick. 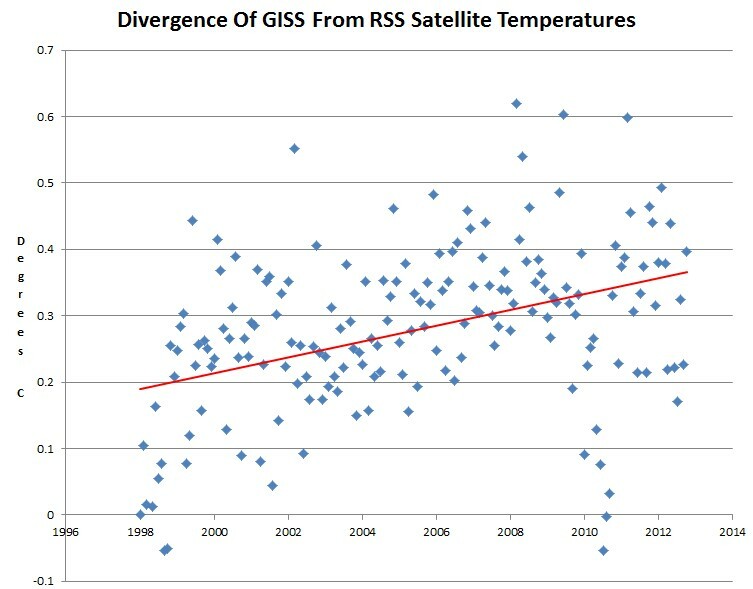 Since GISS claims that surface temperatures are warming faster than troposphere temperatures, GISS has just falsified their own model predictions of Satan’s gas causing a faster warming rate in the troposphere compared with the surface. Hansen is undaunted because like the Nazis before him, propaganda for a bigger cause is always justified.